(Sorry about that headline. I could not control myself.) This fall there will be an extraordinary number of programs at the Mathers Museum of World Cultures. We hope to see you here for many of them. The wave begins in the week ahead. Before we get there, I want to reach out especially to Bloomington and Indiana friends who do not work at Indiana University and who sometimes find visiting the museum difficult for lack of close-to-the-museum parking. This is especially a concern for those with mobility issues. The museum has consistently advocated for increased near-museum visitor parking and I am happy to note that–with quite engaged support from the relevant university offices–we have recently made some solid progress forward. Until recently, the museum and the Glenn A. Black Laboratory of Archaeology shared five visitors spaces on the west side of the lab and museum, on the circular drive that is entered northbound on Indiana Avenue (and that one exits westbound on 9th Street). There were five IU staff spaces also located on this drive. Those staff spaces have been moved a bit north to the McCalla School lot (between 9th and 10th, off Indiana) and converted to five more Museum/Lab visitor spaces. In addition to doubling the near-museum parking, happily all of the metered visitor spaces at the McCalla School lot remain in service. The number of events that we are hosting–especially since the move of Traditional Arts Indiana–to the museum and the increased numbers of people who are joining us (or who express a desire to join us, if they could just park more easily)–is a key factor in the addition of these spaces, but I note quickly here that work is underway to make the museum building more accessible and that the increased parking is part of a larger effort in that realm. More on that asap. Of course, we would love for you to walk, bus, bike, skateboard, etc. to the museum. That is great for the earth and great for you and for the museum too. When you take a scooter to the museum instead of driving, you are freeing up one of those spaces for a person who can only get here by car. Even if they do not know to appreciate your effort, I appreciate it on their behalf. Carpooling helps too for the same reason. And if you are an IU person with an IU parking pass, you can help as well by parking in staff spaces around the museum rather than taking one of the visitor spots. We are going to continue working to make the museum easier to visit. You can help us by spreading the word. It is sad when people say to me that they have never come to the museum because they just don’t want to fool with the parking issues. If you know someone who says such things, tell them the good news and encourage them to make their first visit. We’ll be glad to see them–and you. A local ABC affiliate profiled two Indiana craftspeople in a recent local news segment. These makers–blacksmith John Bennett and bowl hewer Keith Ruble–are featured in the exhibition and catalogue Indiana Folk Art: 200 Years of Tradition and Innovation. The WAWV story weaves together content from the catalogue with interviews with these two artists. The reporter also announces upcoming presentations of the exhibition around the state. It is great to see mainstream local media covering Indiana traditional artists/craftspeople and passing on news of the exhibition. See the video here and download and read the catalogue for yourself here. Please come out to the Mathers Museum of World Cultures this Sunday afternoon to celebrate the vernacular arts of Indiana and to help launch our state bicentennial exhibition. Root beer floats! Bluegrass music from Hamilton Creek! Artists demonstrations! The new exhibition, plus the students, staff, faculty, and artists who made it. We hope to see you this weekend. 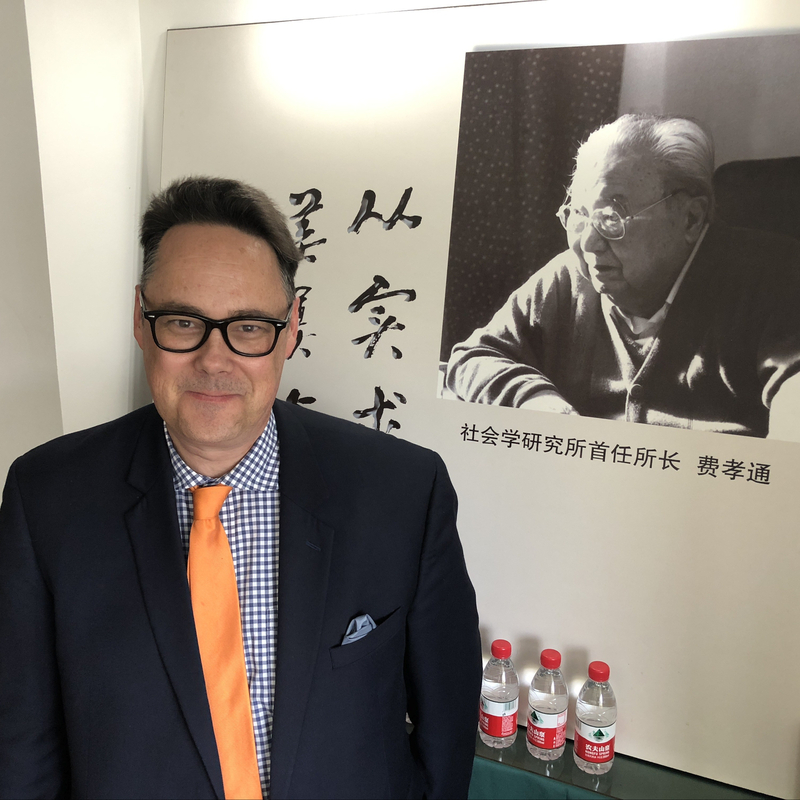 The best places to preserve worthwhile vernacular cultural knowledge is in the hands and minds of talented and engaged people who carry it forward, making it their own and handing it on to still more people. 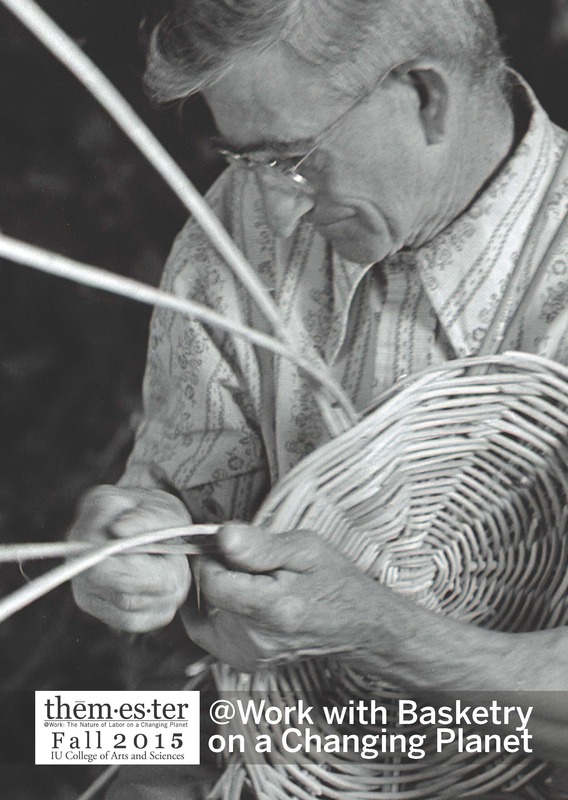 Viki Graber of Goshen, Indiana comes from a long line of willow basketmakers. She has not only preserved the traditions of her family, she has built upon them in ways that curator Jon Kay has explored in the MMWC exhibition Willow Work: Viki Graber, Basketmaker. With Viki, Jon made a short documentary film showing steps that Viki uses in the production of a bail-handled work basket. Check it out on YouTube. This basket is of the basic workbasket type that Viki learned from her father. If you visit the exhibition, you will see the great diversity of complex forms that Viki now creates. 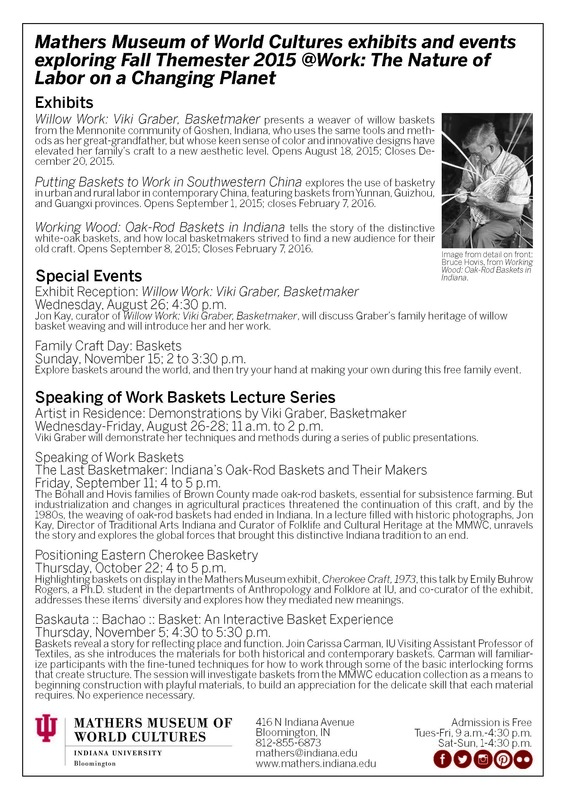 Hopefully the film will inspire you to see the exhibition (through December 20, 2015) at the Mathers Museum of World Cultures, to learn more about Viki’s basketwork, and to carry on or document the cultural practices of your family, community, or heritage. If you share a passion for vernacular culture—follow the Mathers Museum of World Cultures and Traditional Arts Indiana on social media or sign up for the museum’s email list.